From the director of Shrek 2 comes your chance to step into the secret world of garden gnomes Gnomeo & Juliet. Perfect for the whole family, this fresh and funny makeover of one of the world's most timeless stories features music from Sir Elton John, and the voice talents of Emily Blunt, James McAvoy and Sir Michael Caine. 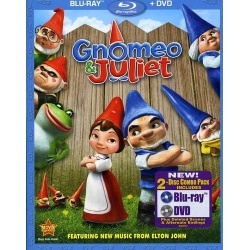 Caught up in a feud between neighbors, Gnomeo and Juliet must overcome as many obstacles as their namesakes. But with flamboyant pink flamingos and epic lawnmower races, can this young couple find lasting happiness? 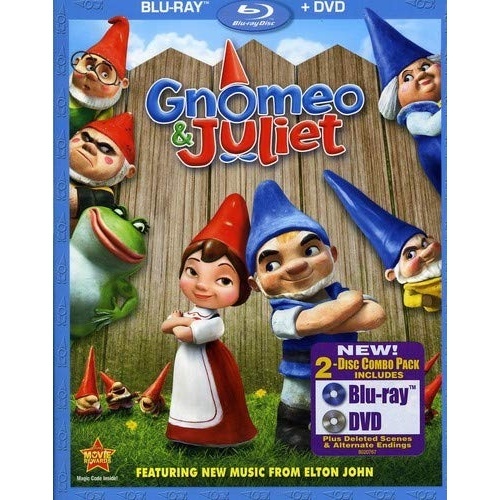 Complete with hilarious never-before-seen bonus features, Gnomeo & Juliet is an out-of-the-ordinary animated comedy your entire family will love. We just gnome it!